Some background, we take an office trip annually or every two years depending on life events! So far in my time with Classic Travel we’ve been to New York City during the holidays, Ireland with CIE Tour, Turkey with private guides from Middle Earth Travel, a Disney Cruise, and rented a beach house in the Outer Banks of North Carolina. Generally we like to go somewhere none of us have been; a destination that we sell a fair amount of (minus “OBX” that was recession year) & need to gain more understanding of. 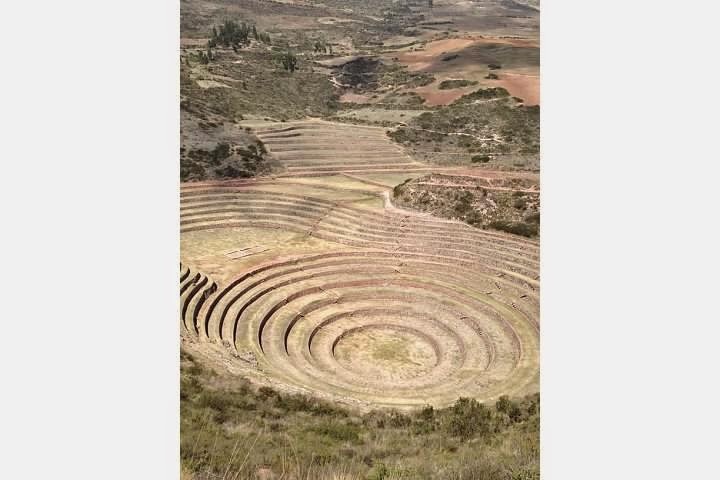 Pisac Ruins – Sacred Valley – Amazing, right? 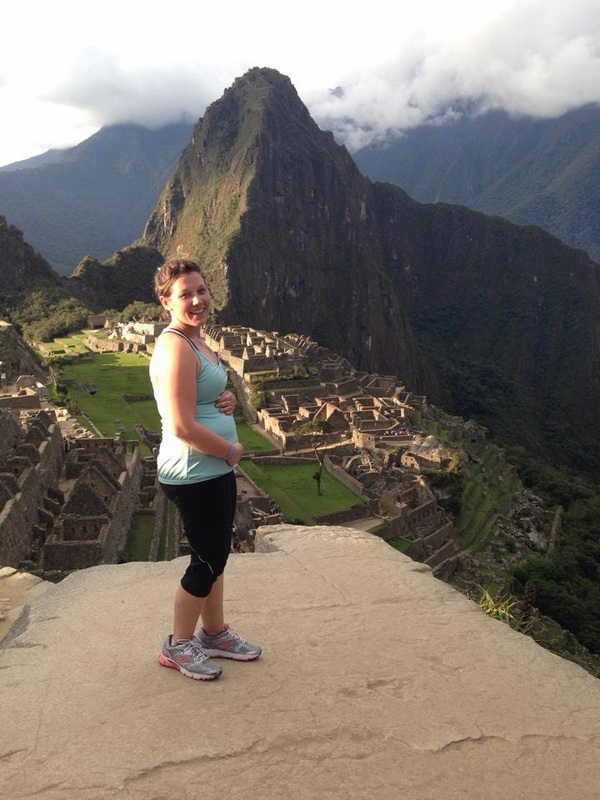 None of us have been to South America so when we started chatting about where we might want to go, Peru kept coming up, more specifically, though we really wanted to try the G Adventures product. We love the idea behind the company as a whole – they believe in sustainability & giving back to the community. An idea I’m sure we can all get behind; you can read more about their Core Values here. For the most part, G has “pre-packaged” products but when you work with a travel advisor we can customize something specific for you. We customized a majority of our tour to fit within our week and hit the spots we felt strongly about seeing. Day 1: depart for Lima on Jetblue from Reagan (through Fort Lauderdale) meet “Eli” (pronounced Ellie) our G Adventures CEO (a.k.a. tour manager, a.ka. THE MAN) then a quick four hour sleep in Lima. On our way to Cuzco! We also had lunch at the seriously delicious G Planterra restaurant project, G Restaurant – farm-to-table concept & we had fun touring the kitchens because they jam out in there! Boss Lady was obsessed with these little potato + chicken appetizers. PS Peru has over 3000 varietes of potatoes! 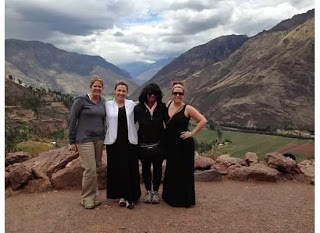 From there they pushed us to our point of exhaustion by seeing the Pisac ruins – (p.s. we rate the bathrooms on all of our trips 1 star is a hole in the ground and goes up from there) the bathrooms there were 1 star. We ended our day at the adorable Pisonay Pueblo Hotel; we were the only people there the first night & they went out of their way to cater to us! We had pizza, ok, so it had bologna on it aka “ham” but it tasted good after a very long day! Day 3: Alex + Max picked us girls up (along with Eli, of course) for a very-full day! 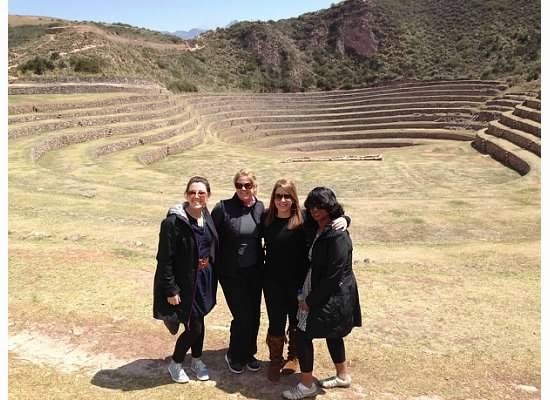 We saw the “OT” ruins aka Ollyantaytambo, Moray ruins & the salt mines (where you could buy pink salt!) 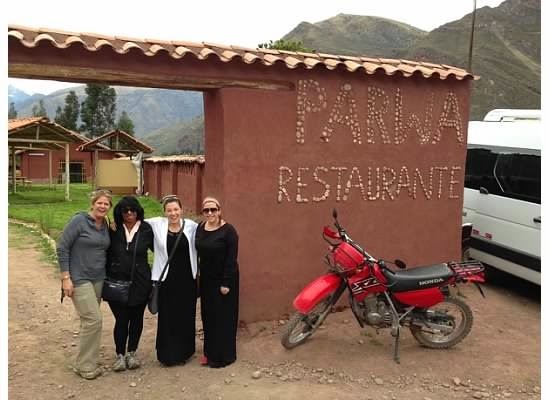 – half way through the day we stopped for a traditional Peruvian meal, Pachamanka – or a meal cooked underground. We got wind + sunburnt on this day – wish I had brought some aloe vera! Another night with a great dinner at the Pisonay Pueblo hotel. Notice there is NO one else around?! Fabulous! Day 4: THE BIG DAY! 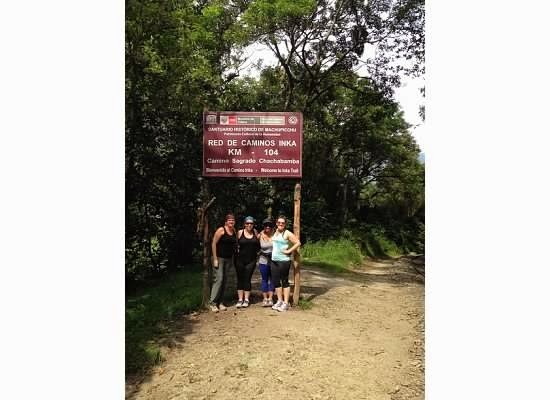 Inka Trail Day! Prior to our arrival, we were excited about hiking & had no clue what to expect…and then our guides started talking to us about, buiding, driving us crazy with anticipation if we could really handle it. I think we were all so anxious to get this day done because of the build-up! Ahh, the happy, innocent smiles! You start by taking the train from “OT” to the 104 KM mark, the start of the one day hike – we expected a large amount of people to get off of the train (ps, the train is beautiful) but it was the four of us, our guide, Jose and maybe 3 other people that were the only other people we ran into on the trail that day! 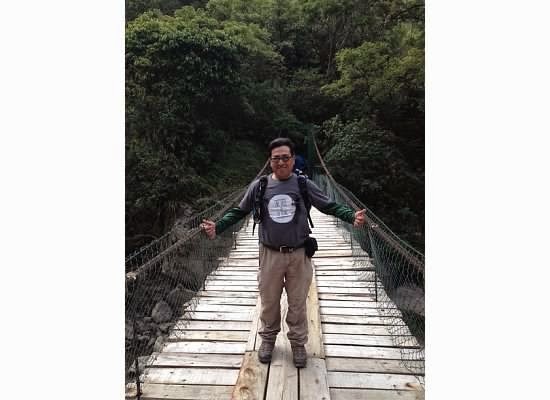 Our fearless leader – poor guy, had no idea what he was about to deal with! There is a bathroom (2 star) at the beginning along with a place to have your passport stamped & then you’re off. It’s not shady until about 1/4 of the way through! And you CLIMB. 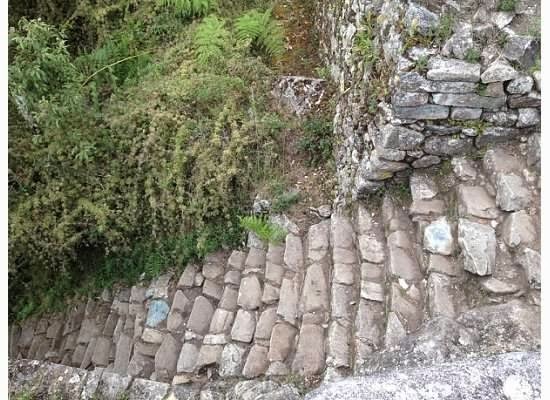 Expect lots and lots of “Inka stairs” and “Inka flats” aka not flat at all, but rolling walkway. The edge is constantly right beside you & you’ll come across many make-shift bridges. They do pack you a nice lunch with a lot of options, so we snacked on that & granola bars we brought – we packed 3 waters + 1 gatorade each in our backpacks which was great. There are two shelters before you reach the check-in point that are a great resting stop, but rest, rest a lot – the elevation & exertion are NO JOKE! I want to share our videos but they just sound like a lot of labored breathing! You have to reach the check-point by 2:30PM to ensure you get on the last bus, which leaves at 5:30PM. 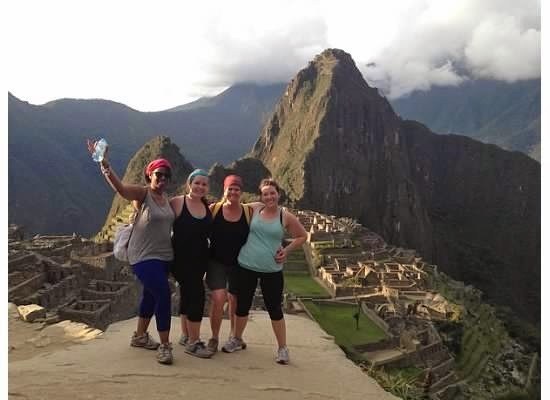 We started at 9:25AM and reached Machu Picchu at 4:30PM. It took us allll day. Also I think it’s worth talking about because we thought you hit Sun Gate and then MP was literally right there, um no, it’s another 30 minute downhill walk! The last 50 stairs – they’ll talk to you a lot about this prior to the walk, it’s not nearly as bad as it sounds! This is how far you are still when you hit the Sun Gate! And those crazy windy roads are for the buses. I wished we walked down! Was it worth it? ABSOLUTELY pride + glory + accomplishment are worth a lot! This is where I must touch on Eli, we jokingly asked for cold beer + coke when we were done. 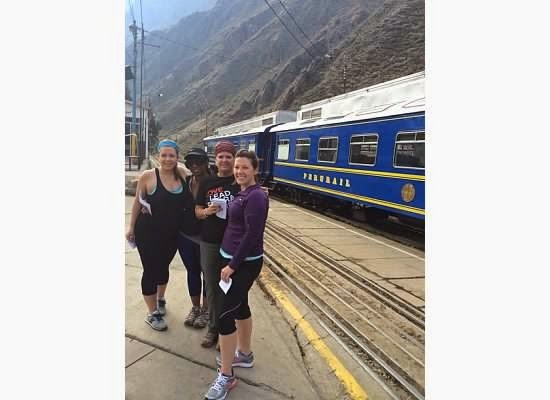 He patiently & nervously waited our arrival at the bus station in Aguas Calientes; and then there he was! WITH BEER, COKE and a BIG Proud Papa smile for us all! He was so proud, I think it’s one of our favorite memories – we could’t stop smiling & laughing & breathing hard, ha! That night he took us to a great restaurant with Jose we were could share photos & just appreciate what we saw! 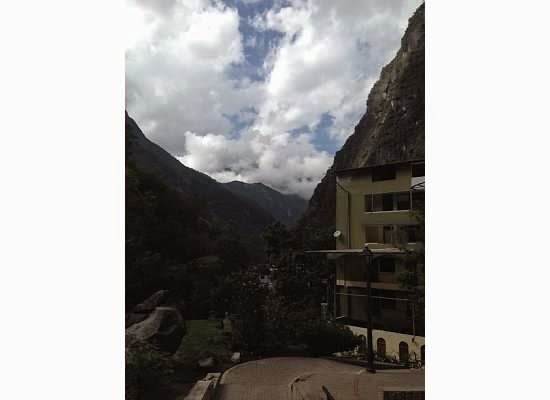 Aguas Calientes was my favorite town, so adorable with a river running through it! Lots of great little restaurants & shops! another tip: G let us pack just an overnight bag for AG – we left our large suitcases in OT & picked them back up on our way to Cuzco. We didn’t have to do anything but have our bags where they told us! Since Eli carried all of our overnight bags himself to the hotel in Aguascalientes we were so thankful that we didn’t bring the large suitcases with us. 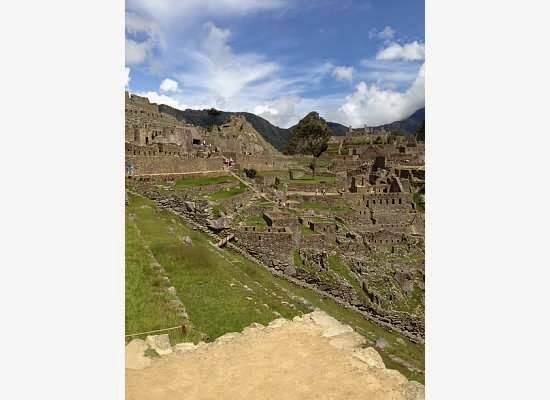 Day 5: Back to Machu Picchu for our morning tour; I am not so great at paying attention when there’s a lot going on around me – I just want to explore! We were so thankful we saw MP when it wasn’t as crowded & considering it wasn’t high season, I can only imagine how insane it gets. We spent about two hours before having lunch & shopping & then taking the 1.5 hour train back to OT, picking up our driver Alex! and then driving the 1.5 hours to Cuzco where we had an epic dance party in the car! This day was also Boss Lady’s birthday, we had an amazing & special dinner at Fallen Angel in Cuzco – thank you again Eli for arranging the cake & surprises! We crashed that night! Tomato + Avocado Grilled Cheese (PS, the Peru avocados are PERFECTION.) I hear the burgers are the perfect hangover cure. They also had the cutest coffee mugs & Eli knew where to take us to buy them! 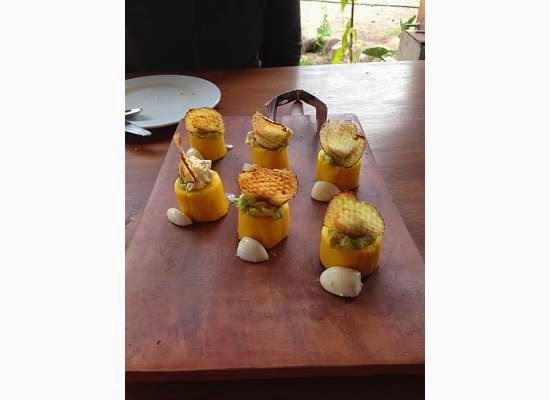 We shopped all afternoon – Eli was amazing at just asking what we were looking for & then taking us to it, once again a huge bonus of having a private guide, we ended the day at a cooking + pisco sour class! 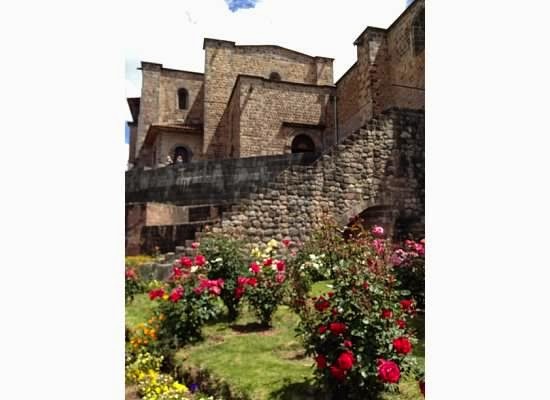 Day 7: Pam & Meg stayed back to rest at the hotel, while Deb and I went to see Church of Santa Dominigo that sits overtop of the Inkan ruin, Qorikancha (10 soles to get in) – they had the most beautiful & fragrant rose garden! My super pregnant nose smelled these from far away – it was so pretty! We then flew from Cuzco back to Lima. PS if you haven’t ever flown out of mountains like that, be warned, it can be a bit scary, people actually screamed on our flight, at which point I grabbed Boss Lady’s hand & just started saying “God’s got us!” I don’t think I would have been scared if those darn people hadn’t screamed! It’s a quick one hour flight though thankfully! 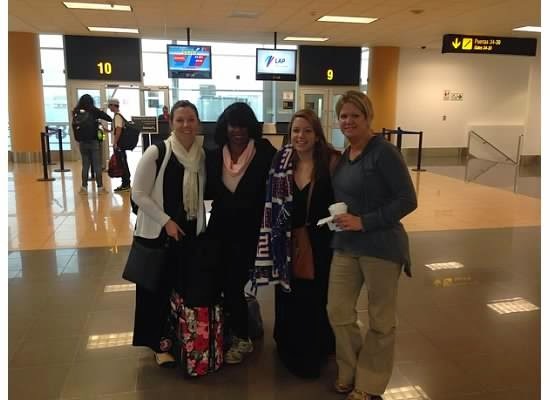 We arrived back into Lima, safely, and freshened up before heading out to shop some more and have dinner. 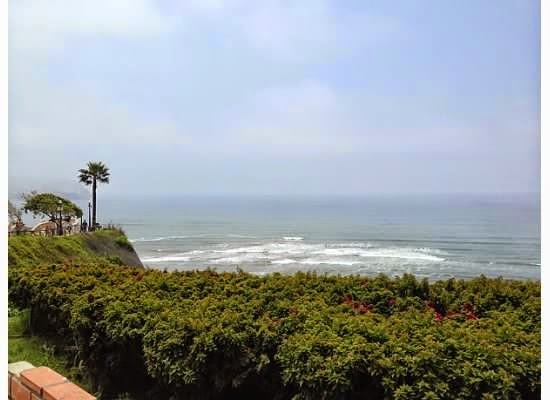 Lima is a very large city, home of 9 million! It also goes from safe-unsafe quickly. It’s not a place you should walk around in the wrong area at night. They have a really neat outdoor mall & restaurant area called Larcomar (it’s a chain) right on the Pacific – it was really pretty! After a fabulous dinner we called it a night again at the Antigua Miraflores. Day 8: Our last day! We started with a city tour with Eli & our guide, Joel. Costa Verde, the Green Coast – surfers paradise! We got to see the Lovers park & the San Francisco church catacombs (creepily cool) – we also had lunch at a popular chicken place, Pardos – excellent salads & our best french fries on the trip 🙂 We spent the reminder of the day getting an overview before heading back to pack, we paid for an extra night hotel so we could be leisurely about our day. We went to our last dinner, before packing it up & heading to the airport at 9PM for our midnight flight home. Our Jetblue red-eye back to FLL was perfect, 5.5 hours & we actually all slept! Most of us have Global Entry so we were in & out of customs/immigrations quickly before a short flight into Reagan & home sweet home! All of our hotels had wi-fi whether only in public areas or in the rooms, all password protected. All of them also had US electrical outlets – sometimes only two though! Internet/Cell: We all had trouble at some point in time with our various carriers getting wi-fi to pick up, our text messages to go through, this is actually the second international trip this year that I’ve had frustrating problems getting texts with the internet – AT&T is still on my list to call sometime this week! All of the hotels offered wi-fi somewhere! 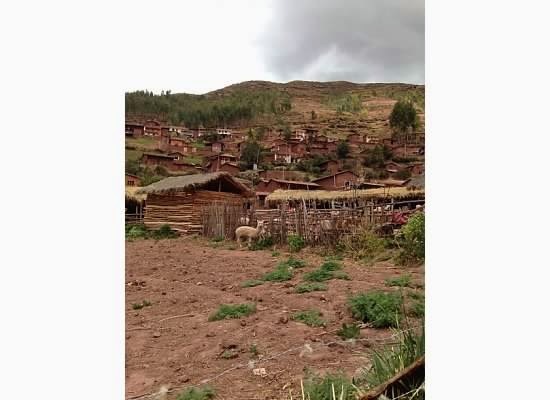 Money: We all carried about $400 USD on us – but discovered in the Sacred Valley that having soles was much easier – so we used ATM’s without a problem. $400 Soles = $141.25 USD (nich being “rich” unlike Europe!) We still used the US dollars on tipping though. We tried to carry smaller denominations USD but discovered those don’t exchange at the same rate, so if you’re carrying it for tipping your guides + drivers then carry $5’s, $10’s & $20’s. Visa was the most widely accepted and then Mastercard but AMEX/Discover not unless you were at a major store or restaurant. We could feed a group of six with two bottles of wine, sodas, appetizers and entrees and dessert for less than $150USD! Crazy, right?! What to pack: Good walking shoes – hiking even! Toilet paper or those flushable wipes! Hand santizer. Converter. Rain jacket. Sunblock. The little village we visited for G’s Planterra project. Altitude Sickness: Out of four of us, two got it the worst; Pam managed hers with Diamox, a prescription med – and Meg after being sick one day started taking it also. I wore seabands & thought they really helped! 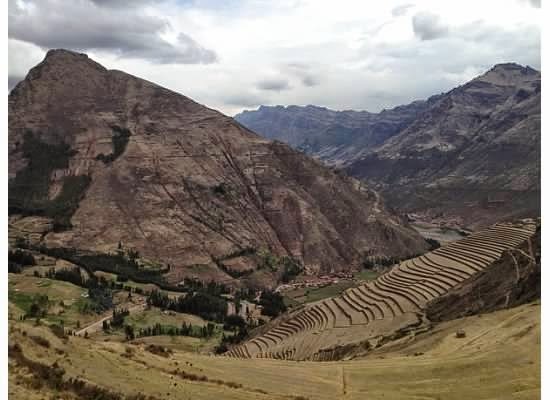 Cuzco was our highest point & we tried to acclimate ourselves by going to the Sacred Valley for a few days before going back to Cuzco & while I think it did help, I still had headaches everyday we were at a high elevation. 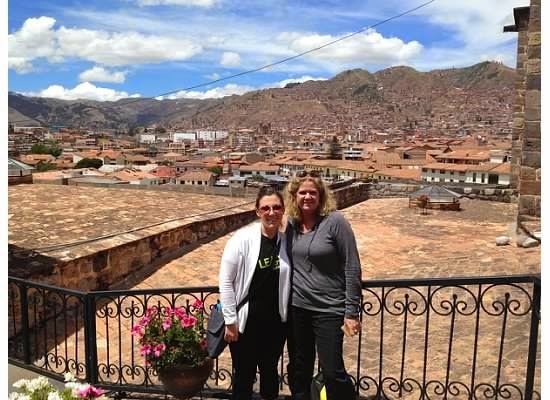 Both Boss Lady & I felt cloudy-headed & dizzy upon arrival into Cuzco. She though has been to Colorado & Idaho so she was pretty surprised she felt anything but there’s something special about those Andes! When to go: So we always travel in shoulder season because of our work schedules. 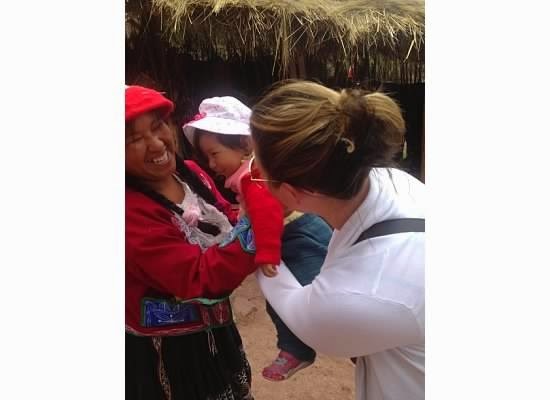 We have had the best luck traveling everywhere the first week of November & Peru was no different! 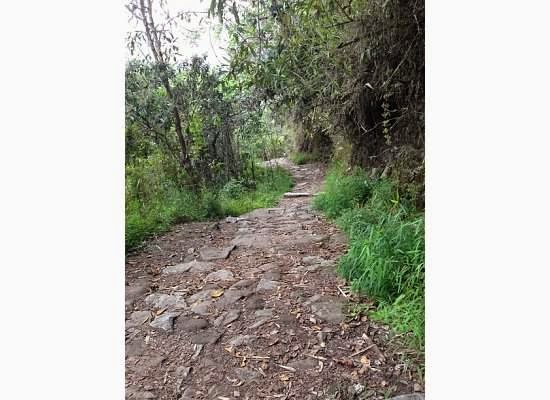 No crowds (I cannot imagine the Inka Trail crowded – ugh!) and great weather – not too hot, not too cold. They are opposite (below the equator) so they are just entering their summer + rainy season. We only saw rain maybe twice? 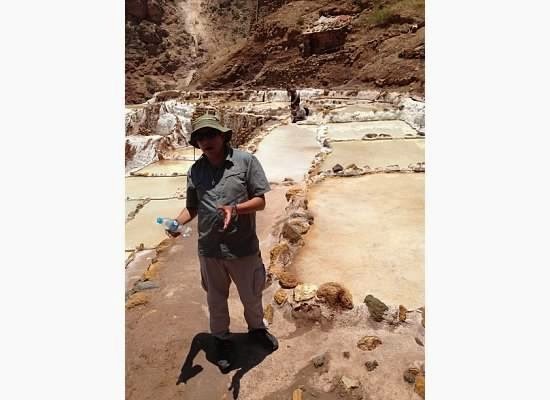 Max talking about the salt mines – where you can get pink salt. 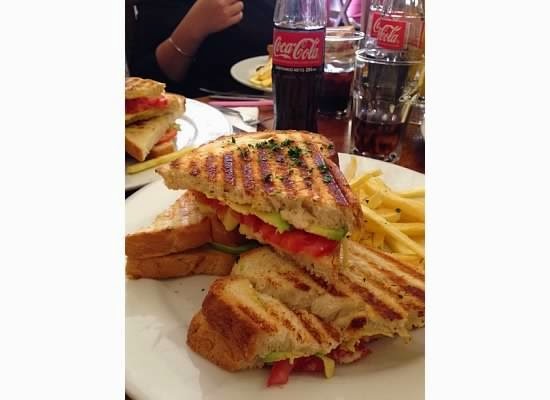 Food: We heard Peruvian food was good – but it really was! First country outside of the states any of us had been to that makes eggs like we do here! 🙂 We ate a variety of items between the four of us; alpaca, chicken, beef, shrimp, sausage – veggies/fruits. We try to avoid unpeeled fruits and uncooked veggies to save our stomachs, this plan works well! 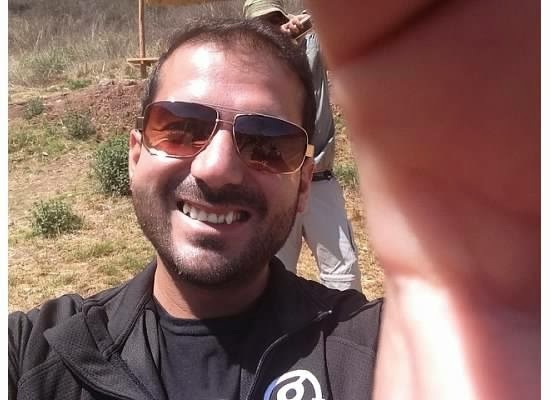 A huge bonus to having a guide is he knows the ‘safest’ restaurants for us, he also can ask if the ice cubes are safe – which in Peru means purchased in the large ice bags versus made in a tray. You have no idea how much you miss ice in your drink until you can’t have it! People: Ohhh how I loved the Peruvians! Genuine, sweet, welcoming – we didn’t meet a person who wasn’t all of the above. It always strikes me how proud other people are of their country compared to the US. Proud of their heritage and history – sure makes it fun to learn about! 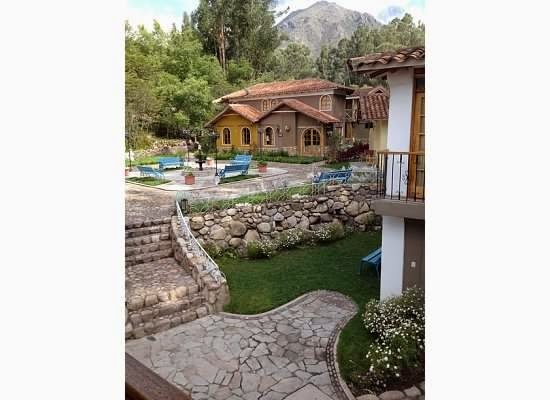 They are also a very service-oriented group; in Cuzco over 85%, maybe even higher I can’t remember exactly now, of the people work in tourism. Boss Lady brought along colored pencils & coloring paper for the kids who absolutely loved this! The children were so beautiful, it eased being away from my own Caroline to see them! This made my day, maybe even my trip! Being a mother is a shared language around the world. We didn’t have to communicate to understand each other. My smile was just as big as hers! 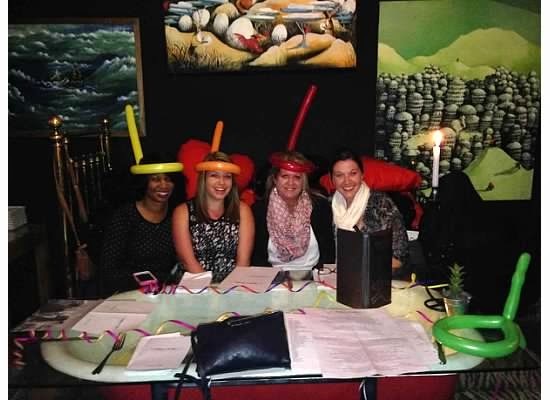 G Adventures: We could not say enough about how wonderful they were! Specficially our CEO, Eli, he never stopped, he never said no. He was working 24/7 for us. And I know we’re a trying group of four sometimes 🙂 We had the best meals, an amazing massage where they even picked us up for $28USD!! Shopped at some of the cutest places. It was so fun when he would see a fellow G teammate or another CEO big grin broke out & they would hug & chat. It made us feel certain how good G takes care of them. We did see Gate 1 (BLECH), National Geographic (way too many people even for a “smaller” group), along with Abercrombie + Kent – the guide was just hanging out outside a store waiting for his guests; Eli was in with us helping to pick out gatorade + waters. I think G’s private product would easily rival those of A&K – with the exception of us staying in 3 star hotels. I look forward to selling more of their product and traveling with them! I’m hooked! 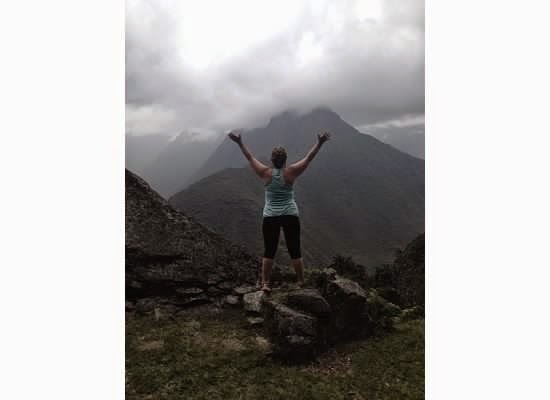 Inka Trail: A good reminder that they only sell so many passes for the 4 day and the 1 day hikes each year – I had clients try to travel last May & started planning in February without success. We planned for our shoulder season trip in March & were able to obtain all four passes. 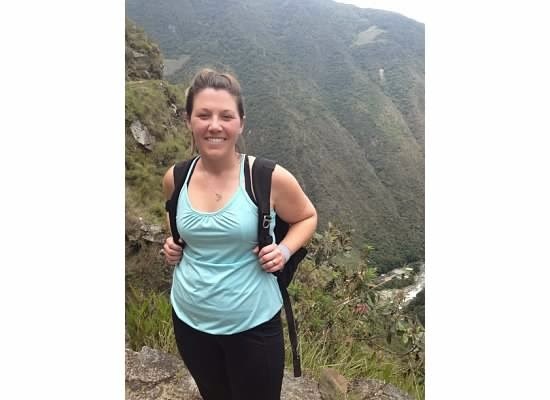 If you are an experienced hiker at locales with high elevation, you’ll probably be fine! But coming from almost sea level & not hikers – it was trying! The bathroom situation is nature & there’s not always really an area for you to hide & go. There is also no turning back once you’re about a mile in! 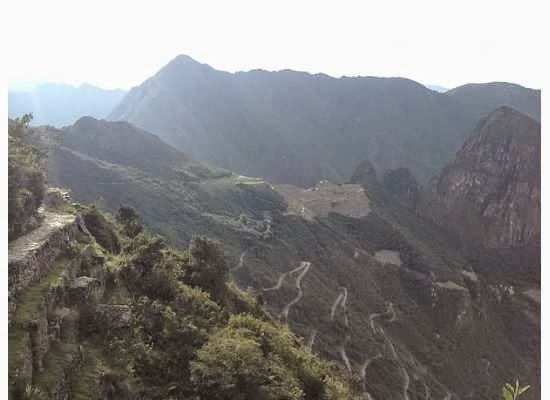 The views get better & better though, I super promise 🙂 And I cannot imagine, unless not physically able, going to see Machu Picchu without hiking the trail – it would lose a lot of it’s shine. Saying that, I have no intentions of ever doing it again! I labeled this photo, fake smile, ha! Casinos: Random but Lima has several big casinos – I had no clue! Surfing: Also something I wasn’t aware of, Lima is a very popular competitive surfing desitnation! We saw the South African team at the airport on our way in! What to buy: Baby alpaca – which doesn’t mean what it sounds like – it’s actual the alpaca’s first shearing; we uhhh collectively spent about oh I don’t know $5000 soles on clothing…contributing to the economy! You can stock up on extremely reasonable (think $5-$10USD) hats, scarves & mittens in the little towns. Shoes are also a popular item that I think all but me bought! For the record, we, well my generous boss, paid for this trip – it was not comp’d to us in anyway other than we paid the net amount versus the gross with our commission.